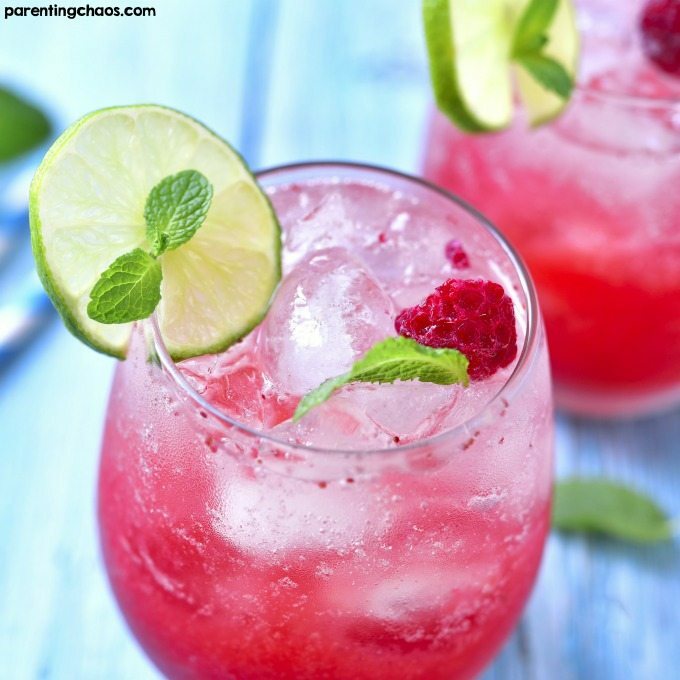 This delicious raspberry mojito is the perfect sweet and bubbly drink! 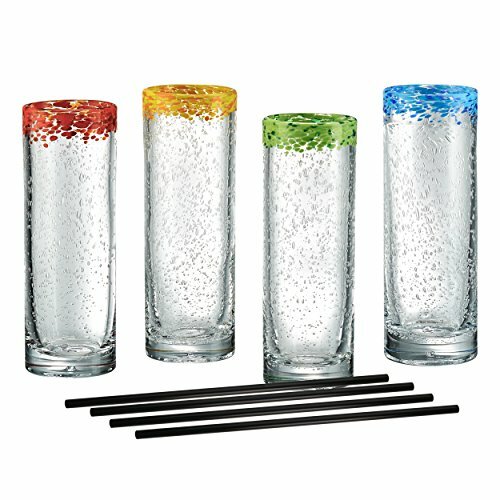 If you’re looking for a refreshing drink after a long day, this is the one. After a long day, there is nothing that sounds better than a delicious mojito. 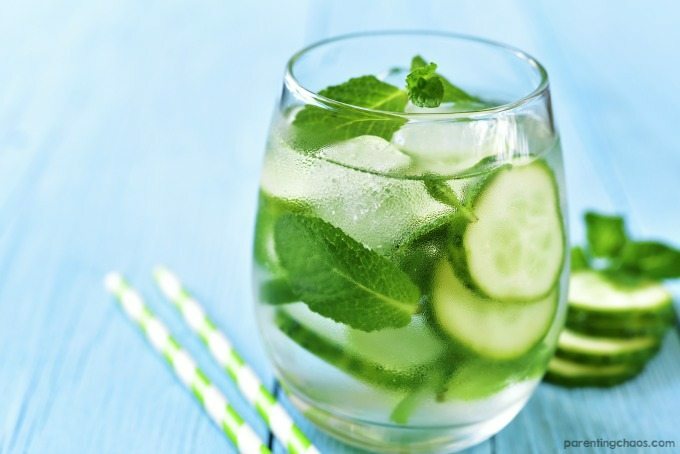 I absolutely love the mint and sweet flavor that comes along with a good mojito. 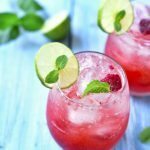 I’m also one to love a good raspberry flavor and this raspberry mojito is absolutely perfect to satisfy my taste buds and relax after a long day. This mojito is seriously perfect. Between the bubbles and delicious raspberry, it’s sure to satisfy anyone after having a long day. I personally like to include plenty of mint. If you think you have enough, I would definitely add some extra just to be safe. I always do! 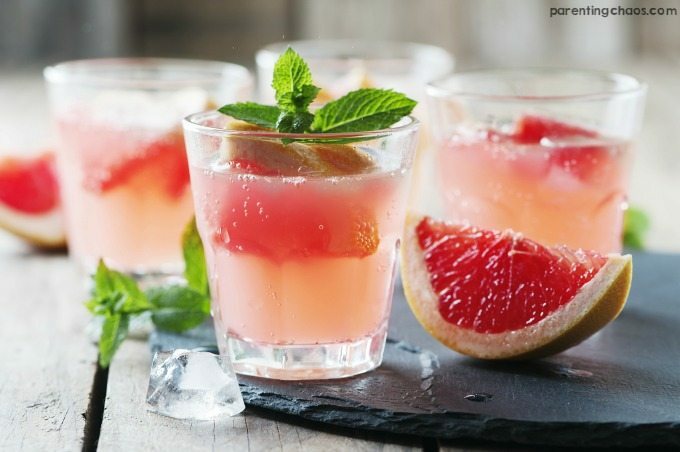 If you’re a sucker for a good evening drink that’s also refreshingly sweet and delicious, I definitely think you would love this mojito! 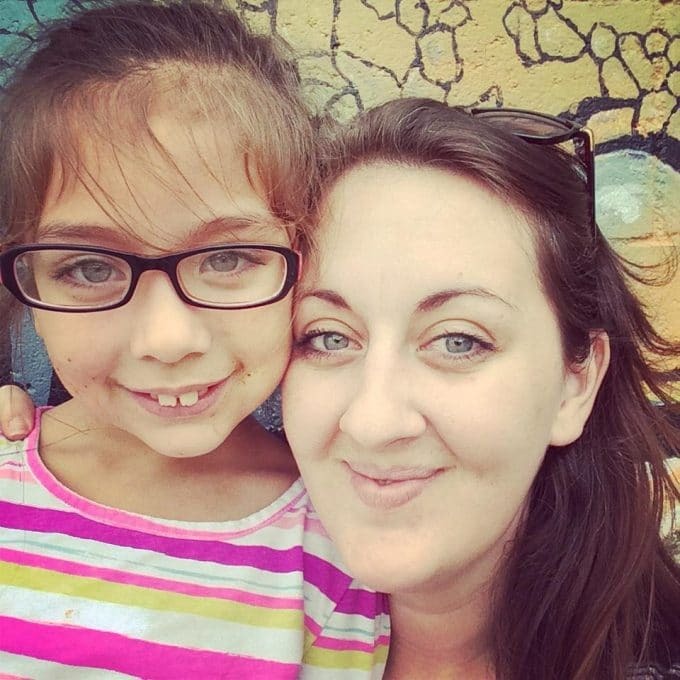 It’s a favorite for us and I’m sure you’ll love it too. First, prepare raspberry syrup by combining water and liquid stevia in a small saucepan. Bring to a boil, then remove from heat and add raspberries. Muddle raspberries until no large pieces remain. Set aside to cool down. 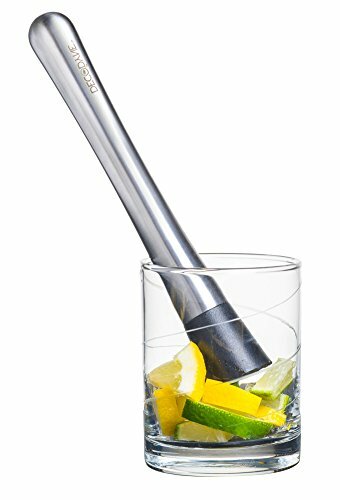 In a cocktail glass, gently muddle mint leaves. Add rum, sparkling water, and syrup. 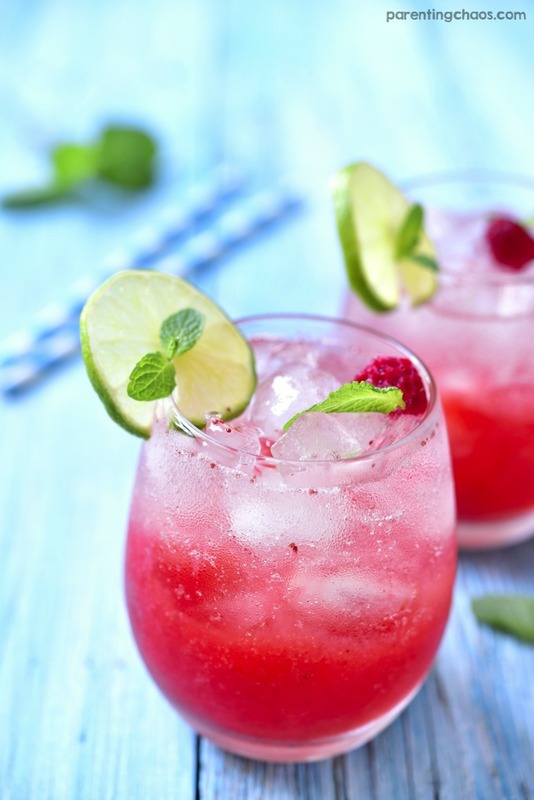 Stir, then top with crushed ice and garnish with mint sprigs and raspberries. 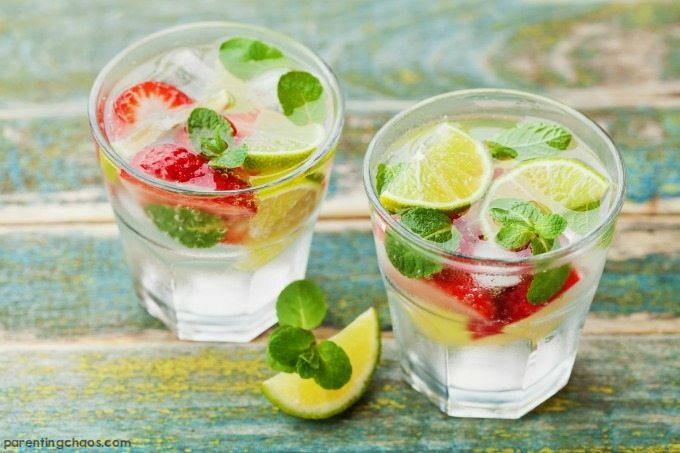 I don’t know about you, but I think this mojito recipe sounds amazing! 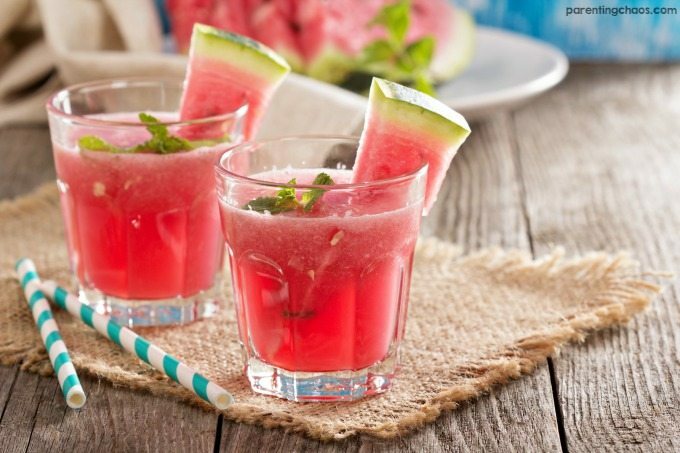 So refreshing, sweet and bubbly. The perfect way to end the day! I’m definitely going to fix up this raspberry mojito tonight.